Sage 100 ERP (formerly Sage ERP MAS 90, 200, and 200 SQL) business management software offers a broad range of modules designed to meet the many needs of virtually any business. Combine modules to build an ERP system optimized for your business, and the resulting integrated system will be more powerful than the individual components. As your business continues to grow, you can add Sage 100 ERP modules with confidence, knowing that your system is evolving and adapting as the best solution for your unique business needs. Go green with the powerful and efficient paperless office capabilities included with every system, and add specialized modules such as Direct Deposit* and Federal and State eFiling and Reporting to further reduce paper and increase timeliness of communications. These business tools are just one of the reasons why Sage 100 ERP is recommended by more CPAs than any other midrange accounting solution. As your business continues to grow, you can add Sage 100 ERP modules with confidence, knowing that your system is evolving and adapting as the best solution for your unique business needs. 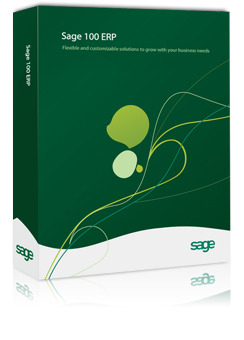 See the full list of Sage 100 Modules here!